Why: We would like to go on record to say that Elizabeth Kostova is one of the cruelest authors of all time. Yep, you heard us right! She loves to just throw out facts or new pieces of information and then revisit them two or three chapters later. Worse, she loves to introduce some juicy tidbit and then abruptly end a chapter. Thanks Elizabeth, thanks for nothing. All and all The Historian was a pretty good read, despite the fact that the suspense kind of fizzled towards the end. Also, the novel was a little heavy on the history part, although the title should provide necessary warning. Still, chin-up, the book has plenty to offer a prospective reader. 10 years in the making, The Historian tells of the hunt for Vlad the Impaler through multiple narratives. Letter, folklore, and some good old fashioned book research are all employed in the hunt. While the letters contain crazy specific details and the same tone irrespective of the author, the folklore and the research deliver enough suspense to keep the reader turning the pages. Also, who would have thought Dracula was a book lover? And now it’s time for our favorite part of the show where we try to encourage reading through the use of impressive stats (thanks for your help Wikipedia). 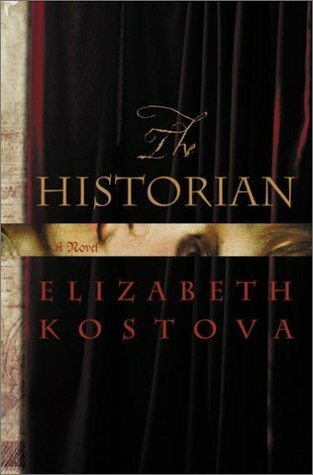 The Historian was the fastest selling hardback debut novel in US history as of 2005. The novel won the 2006 Book Sense award for Best Adult Fiction and the 2005 Quill Award for Debut Author of the Year. Plus, the blood dripping down the first addition cover is really creepy. I have a copy of this on my shelf that I never got around to reading. Thanks for the review!